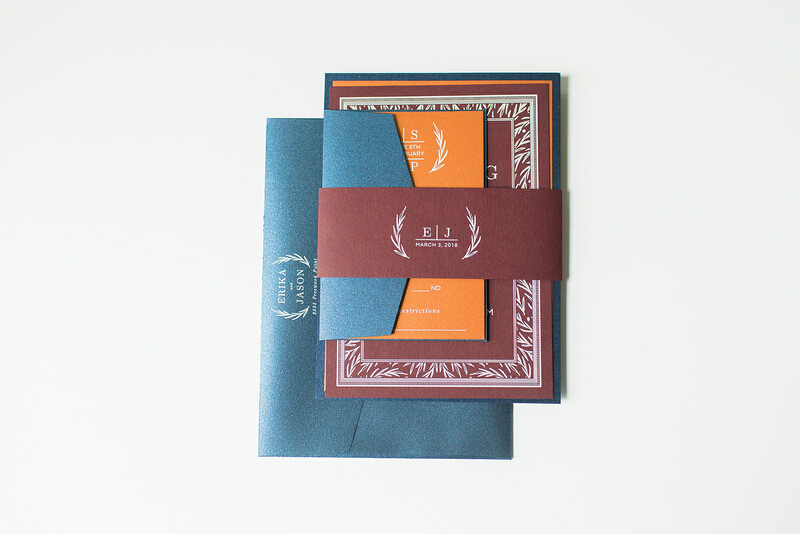 With bold jewel tones of navy, burgundy, and copper, this invitation suite was a stunner! 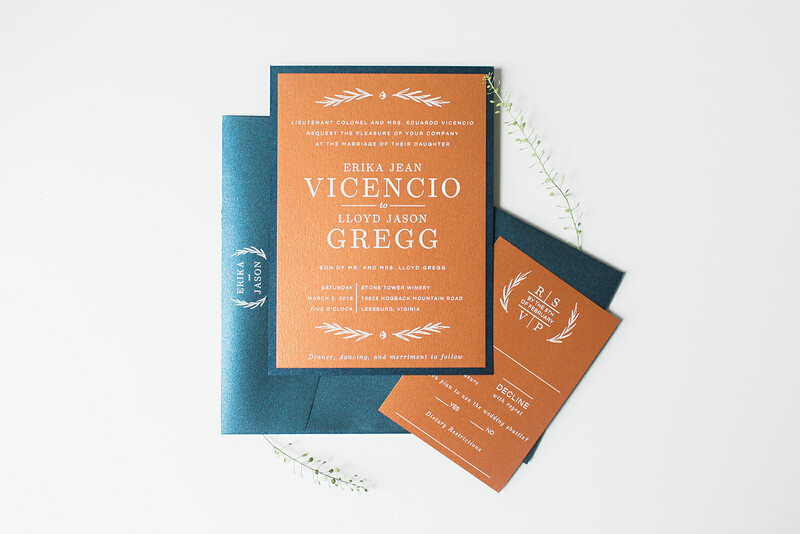 A gentle leaf motif with an acorn gracing the margins and contemporary text setting is printed in white ink on copper metallic paper. All the pieces were neatly contained in this adorable monogramed belly band in the burgundy color. 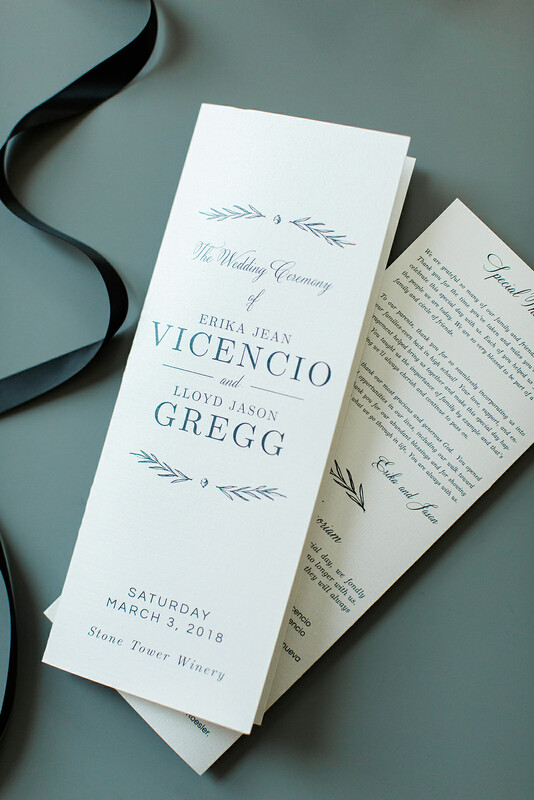 Erika selected the invitation design from our Envelopments collection, and then we continued with these design elements for custom “day of” stationery including this long and narrow ceremony program printed in navy on a metallic white paper. 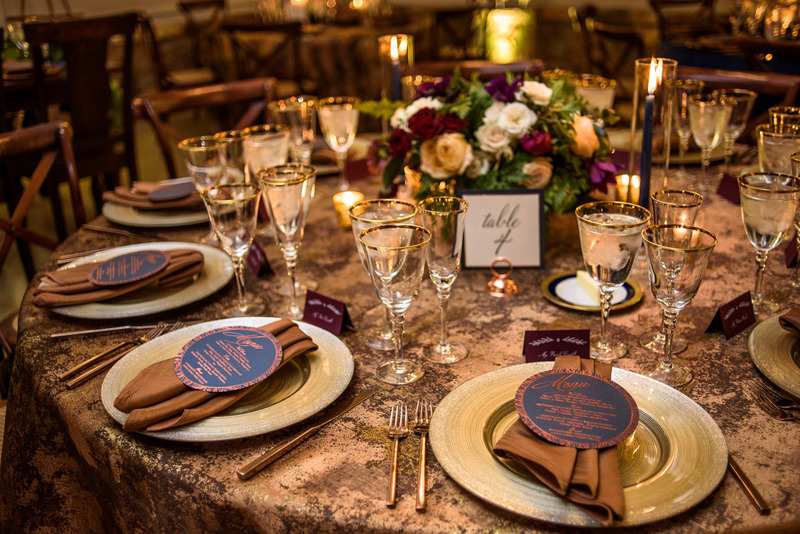 We also did custom coffee sleeves for a hot cocoa bar, beautiful round foil stamped menus, place cards, table numbers, and signage for the buffet and bar. 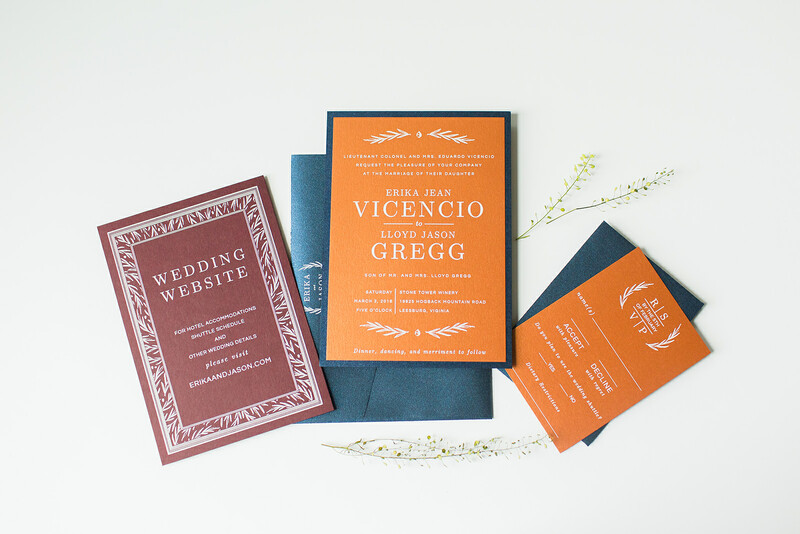 Thanks, Erika & Jason, for trusting Staccato with the paper for your beautiful wedding! 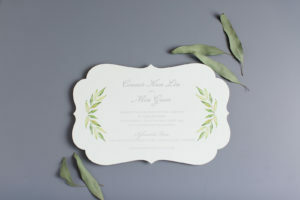 It was such fun to create unique pieces for you! Kelly was amazing to work with! 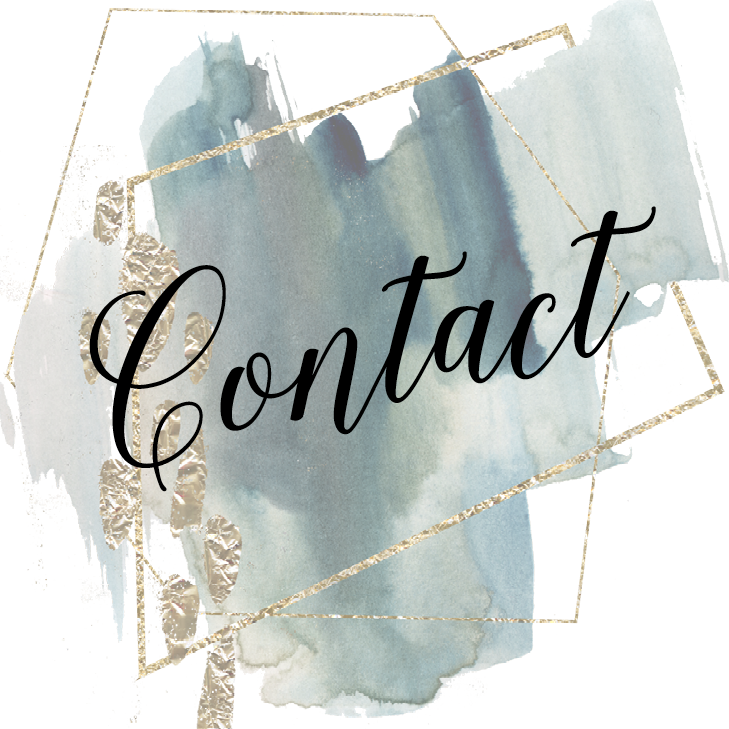 She’s warm, friendly, and easy to communicate with. 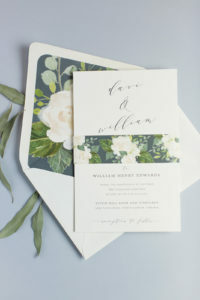 From the invitations and programs, to the menu cards, seating cards, coffee sleeves, our welcome box cards and tags- everything was cohesive and beautiful! 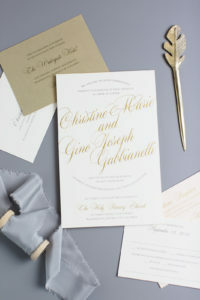 It helped tie everything together and provided such rich color and texture. 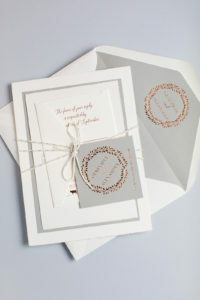 Kelly has such a great eye for these details and it showed in the quality of our products. The paper trail was definitely a gorgeous one. Thank you so much Kelly!